Vardar Fan Shop provides an interactive online service through the web site of the vardarfanshop.com domain, which is operated by Vardar Fan Shop. Through the site Vardar Fan Shop sells windscreen accessories for fans of fans. Vardar Fan Shop is responsible for the quality of the services and products that it offers and sells. All offers and prices on the site can be changed at any time, without prior notice. Vardar Fan Shop reserves the right to refuse to grant a service or access to the site or profile of any person at any time for any reason. The end user acknowledges that although the Internet is often a safe place, there are sometimes obstacles in the service or events that are beyond the control of Vardar Fan Shop, and Vardar Fan Shop is not responsible for any data lost while carrying information via the Internet. Although Vardar Fan Shop's goal is to be available 24 hours a day, 7 days a week, the site may be unavailable from time to time for any reason including, without limitation, routine maintenance. You understand and acknowledge that, depending on the circumstances, within and outside the control of Vardar Fan Shop, access to the website may be suspended or suspended from time to time. Vardar Fan Shop has the right at any time to change or terminate any aspect or function on the site, including, but not limited to, content, hours of availability, and equipment required to access or use the site. You can register and maintain only one profile of the website for personal use. You are responsible for recovering data in your account. As part of the changes to your profile, you have the option to: change, save or delete any personal information from the profile, or to opt out of receiving promotional email messages. You know and agree that Vardar Fan Shop does not have any responsibility for any incident that may arise from or is associated with your account. Only You are responsible for maintaining the security of your account. We will assume that any person using the site through your account is you. You agree that you are solely responsible for any activity that occurs on or with your account. Your account can be removed along with your funds that are on it if you do not keep it with current data. The end user is responsible for the supply and maintenance of telephone equipment, computer hardware and other equipment needed for access and use of this site and all related costs. Vardar Fan Shop is not responsible for any damage to the equipment of the end user as a result of using this site. - Interference in the use of the site by any user in any way, including, without limitation, by submitting a virus to the site attempting to overload the "spam", or a site interruption. - The site or any of its resources to gain users, traders or other third parties to become users or partners of other online or offline services directly or indirectly competitive or potentially competing with Vardar Fan Shop, including, without limitation, collecting current or prior offered offers. - Personal data (defined in the Personal Data Protection Policy), User Content (defined in item 13 below) or content from any user or Seller. - Acting unlawfully or maliciously against business interests or the reputation of Vardar Fan Shop, our products or our services. The site contains copyrighted material, trademark and other proprietary information, including but not limited to text, software, images, video, graphics, music and sound. All that is on this site is in the exclusive ownership of Vardar Fan Shop. Vardar Fan Shop has the copyright to select, select, coordinate or modify the content as well as the content that he originally possesses. Vardar Fan Shop has copyright on the photographs that are in his possession, such as the photographs that are being photographed for the purposes of the photographic offer of Vardar Fan Shop. Any copying, distributing, transmitting, posting, linking, modify, participating in a sale, or otherwise modifying the site or any of MIKROSTRANITE, or in any other way use the content, in part or whole without express written permission of Vardar Fan Shop Is A DIFFICULT PROTECTED. Any violation of this policy may result in copyright, trademark or other intellectual property infringements and may lead the end user to civil and / or criminal penalties. The end-user must not upload, post or otherwise make available on this site any material that is protected by copyright, trademark or other proprietary right without prior permission from the copyright owner, trademark or other property right. Vardar Fan Shop does not bear the burden or responsibility to give end-user indications in order to teach him whether certain material is protected by copyright or trademark. The end user is solely responsible for any damage caused by any infringement of copyright, trademark, proprietary rights or any other damages arising from such a submission. By placing material on any public space on this site, the end user ensures that the owner of that material explicitly grants him a non-exclusive right and permission for use, reproduction, adjustment, right to publish, translate and distribute such material to Vardar Fan Shop. The end user also allows access to that material from any other end-user, reproduction and storage by that user for personal use. The End User here agrees that it entitles any other end-user to copy, modify, log out and distribute any material placed on this Site by the End-User. The site allows registered users and visitors more opportunities to review or post opinions, tips, ratings, discussions, comments, messages, responses and other communications, as well as uploading files, images, photos, videos, audio recordings, music and other content (collectively, "content") through forums, bulletin boards, discussion groups, chat rooms, surveys, blogs or other communication facilities that may be offered on, through or in connection with this site from time to time . You may be required to have an account so you can upload content. In some cases and from time to time, it may be possible to modify or remove content submitted or sent through your account. Vardar Fan Shop does not provide any guarantee that the user content you have changed or removed will be modified or removed from the site or elsewhere, or that the content will cease to appear on the Internet, in search engines, social media, or other form, medium or technology. - You understand and agree that user content is public. All discussions about ratings, comments, bulletin boards, chat rooms and / or other messages or means of communication are public, not private messages, and therefore others can read communications. Any person (whether or not he is a user of the services of Vardar Fan Shop) can read your content without your knowledge. Please do not include any personal information in your content unless you want them to be publicly announced. Vardar Fan Shop is not responsible for the use or disclosure of any personal information you post as User Content. - Any content of any kind made by you or any third party is made by the appropriate author (s) or distributor (s), and not by Vardar Fan Shop. Other users can upload content that is incorrect, incorrect or fraudulent. Vardar Fan Shop does not support and is not responsible for any user content, and will not be liable for any damage or loss caused by your reliance on such content. User content reflects the opinion of the applicant, and not the opinion of Vardar Fan Shop. Vardar Fan Shop does not control or approve any uploaded content, and is specifically deterred from any liability regarding your contribution to, use or reliance on any User Content and any actions resulting from participation in any part of the Site , including any inappropriate and obscene user content. 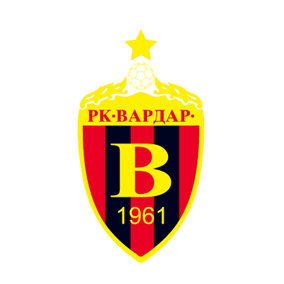 - Some user content that you leave on Vardar Fan Shop may be displayed or you may be given the option to display along with your personal information or part of your personal information, including but not limited to your name, initials, user name, social networking account name, picture, likes, preferences, voice and location. You give Vardar Fan Shop free, irrevocable, irrevocable, non-exclusive, portable, worldwide valid right to use, display, distribute, offer for sale and sale of personal information related to your content, whether content is appearing independently or as part of other things, as well as in any form, medium or technology, whether known or developed in the future, without compensation for you. However, Vardar Fan Shop will not be obligated to use your personal information regarding any user content. - As for the connection between you and Vardar Fan Shop, you reserve the ownership right over the content you are uploading. In any case, by leaving user content on the site, you give Vardar Fan Shop free, irrevocably, irrevocably, non-exclusive, portable, worldwide valid right to use, display, distribution, offer for sale and sale of personal information related with your content, whether the content appears independently or as part of other things, as well as in any form, medium or technology, whether known or developed in the future, be used by all without compensation for you. You give Vardar Fan Shop a moral right and any other rights that you may have in accordance with the laws, which arise from authorship of the content or integrity of the materials related to your uploaded user content. The license of Vardar Fan Shop for the use of user content or personal data submitted with it includes but is not limited to using it for advertising, marketing, promotions, market research, providing feedback to sellers, quality control and other legal goals. - As previously stated, leaving user content allowed only for people over 18 years of age. The site is designed and designed for adults. By realizing the contents of vardarfanshop.com you confirm that you are adult. We will immediately remove user content from people under 18 as soon as we get to know about it. THE END USER EXPRESSLY AGREES THAT USING THIS SITE IS BASED ON HIS RESPONSIBILITY. NEITHER Vardar Fan Shop, employees, associates, providers CONTENT OR LICENSORS OR ANY OF THEIR EMPLOYEES, DIRECTORS, AGENTS, WARRANT THAT USE OF THE SITE WILL BE UNINTERRUPTED, ERROR-FREE OF VIRUSES OR ERROR FREE; NOR WARRANT FOR (A) THE RESULTS THAT MAY BE OBTAINED FROM THE USE OF THIS SITE, OR ANY MIKROSTRANA, OR (b) the accuracy, reliability or completeness of (1) CONTENT OF THE SITE, INCLUDING WITHOUT LIMITATION THE OFFERS FROM SELLERS, SERVICES AND PRODUCTS WHICH ARE FUTURE; (2) THE DESCRIPTION OF THE BENEFITS OF SELLERS, PRODUCTS OR OTHER PROGRAMS; OR (3) USER CONTENT IS GIVEN THROUGH THE SITE. THIS SITE AND THEIR OWN ITS CONTENT, USEFUL INFORMATION, INFORMATION ABOUT THE BIDS AND SELLERS ARE MADE ON THE BASIS OF "AS IS" AND "WHEN AVAILABLE". TO THE EXTENT PERMITTED TO APPLY THE APPLICABLE LAW, VARDAR Fan Shop is RETAINED BY ANY RESPONSIBILITY AND TERMS EXPRESS OR IMPLIED, INCLUDING, BUT NOT LIMITED TO, THEY CONTRARY TO MISDEMAKES, TRADING OR ADJUSTED FOR A PARTICULAR PURPOSE. When you use the site or send electronic (e-mail) messages to Vardar Fan Shop, you interact with us electronically and agree to receive e-mails from us regarding your use of the site. We will communicate with you by email or by posting notifications or comments on the site. You agree that all agreements, remarks or other communications that have been transmitted electronically satisfy the legal requirements and requirements as if they were transferred in writing and could serve as credible evidence. Notifications from us will be considered duly delivered on the day of the sent email by us, to your email address that you have left on your account, or you have given us another form of communication with you. Vardar Fan Shop, similar to any Internet service provider, is a distributor (and not a publisher) of content provided by third parties and end users. Accordingly, Vardar Fan Shop has no editorial control over such content as any public library or bookstore. Any opinion, advice, report, service, offer, or other information or content expressed or made available by third parties, including information on services, or any other information from end-users shall be to the appropriate author or distributor, and not on Vardar Fan Shop. Unless Vardar Fan Shop explicitly allows you to do so, you may not place external links on vardarfanshop.com that link to other sites. Vardar Fan Shop reserves the right to revoke your consent for any link at any time without notifying you. You are only responsible for the interaction with the site or other users of the site. The End Beneficiary agrees to indemnify and will not be held responsible by the company Vardar Fan Shop, his responsible persons and employees for all claims for damages and costs, including legal representation fees that may arise from the use of this website by side of the end user.